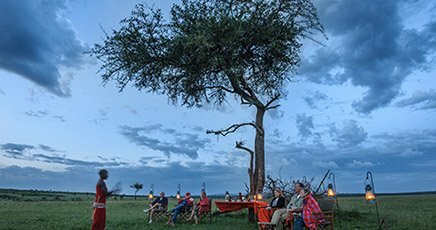 Kimondo is a mesmerising mobile safari camp that tracks the seasonal Great Wildebeest Migration from the dramatic Lamai Wedge and Mara River in winter to the lush southern Serengeti grasslands in the height of summer. 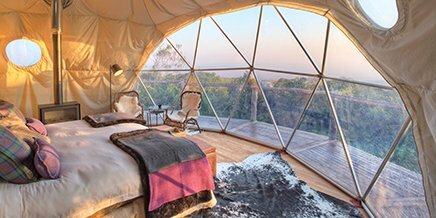 Handcrafted from wood and canvas in an exotic blend of traditional East African safari style with a subtle Moroccan influence, Kimondo Migration Camp has just nine elegant and airy tents, each with a king-sized cast-iron bed, en-suite bathroom and private veranda. 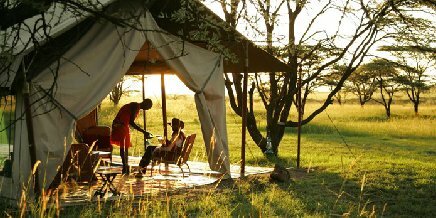 This mobile safari camp offers a truly intimate Big Five adventure in vintage East African style and comfort. 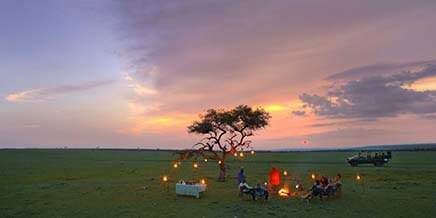 Rates include: Full board accommodation, all house drinks (except champagne), scheduled open-vehicle game drives, transfers to/from Lamai Airstrip (Jul-Oct) or Serengeti South Airstrip (Dec-mid-Mar), laundry service. Year round Migration viewing except when camp is closed. 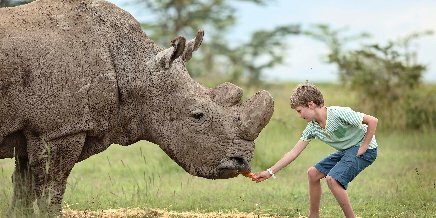 Families with children aged five and older are warmly welcomed in Kimondo Camp. 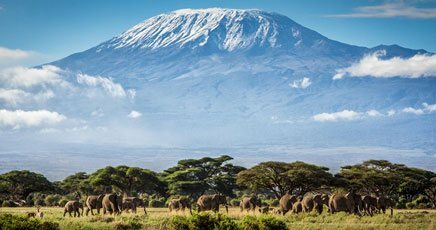 Kimondo Migration Camp pays tribute to an age when merchants from North Africa crossed the Serengeti on camels to trade ivory and spices along the East Coast. 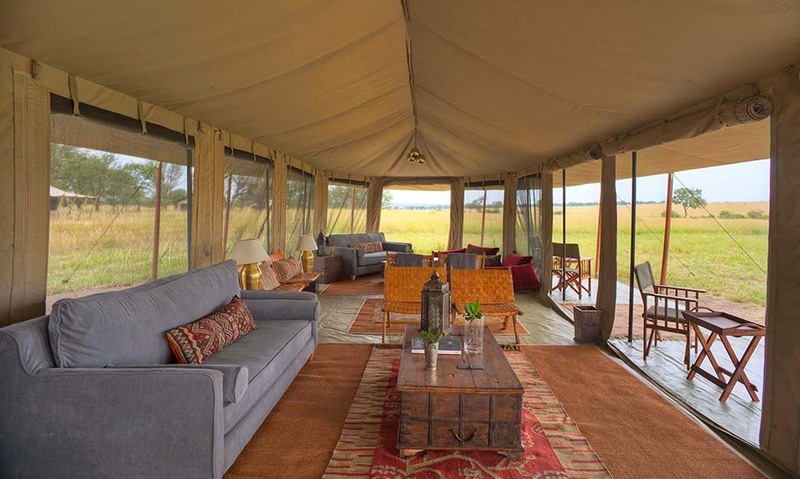 The mobile camp constructed of wood and canvas reflects traditional safari style with a Moroccan accent – simple, elegant and totally at home in this unspoilt landscape. 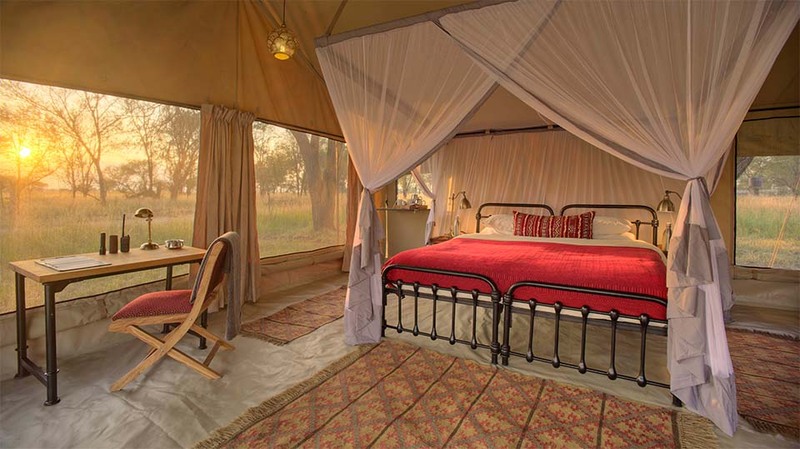 Rich, handwoven rugs line the floors in the mess tent, where burnished copper lanterns glow into the night. 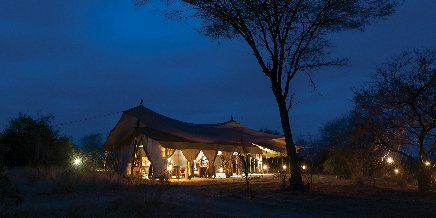 Dinner is served either in the dining tent or under the African night sky. Afterwards, trade stories of the day’s sightings beside the crackling campfire. 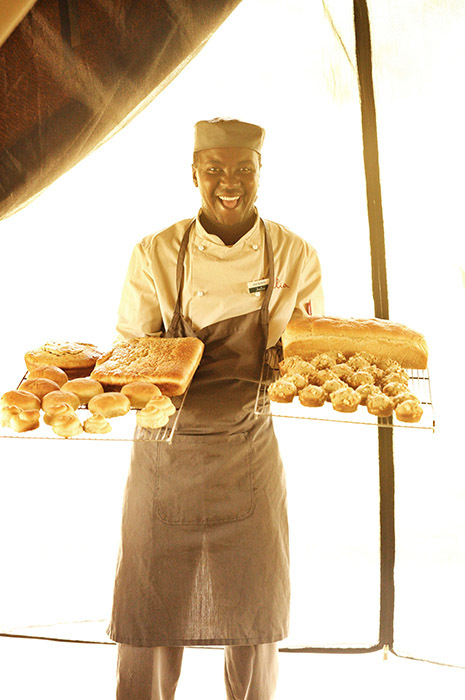 Our camp chefs prepare all meals in camp, and bake fresh bread, biscuits and muffins daily. Breakfast is a tempting buffet-style spread – choose from a Continental or a full English breakfast. 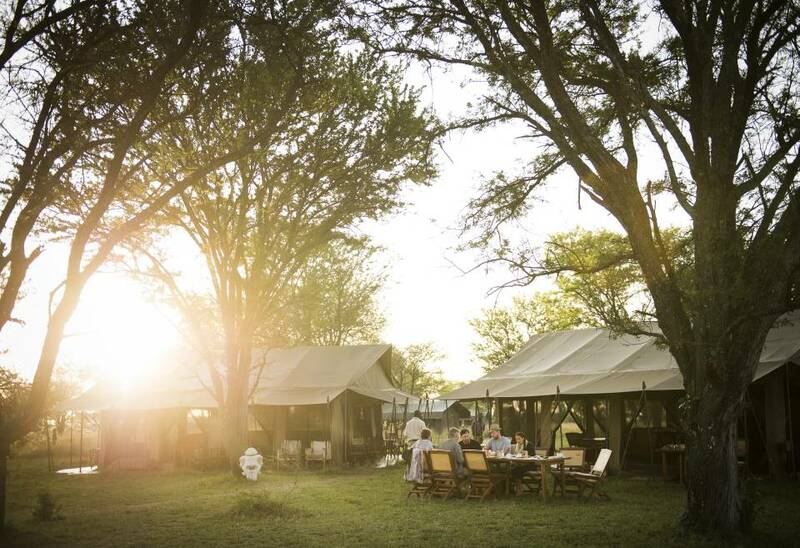 Light, buffet-style lunches in camp include fresh salads and vegetables with your main course. 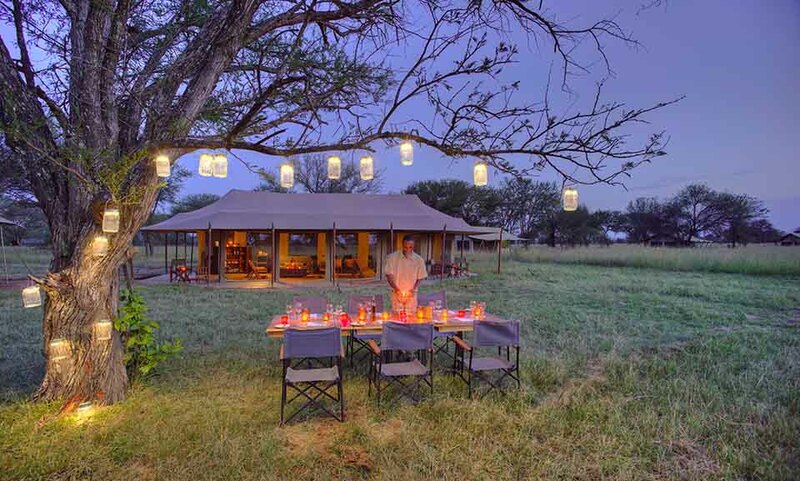 Alternatively, ask for a picnic lunch basket or bush lunch to maximise your time in the bush. Dinner is a three-course silver service affair. 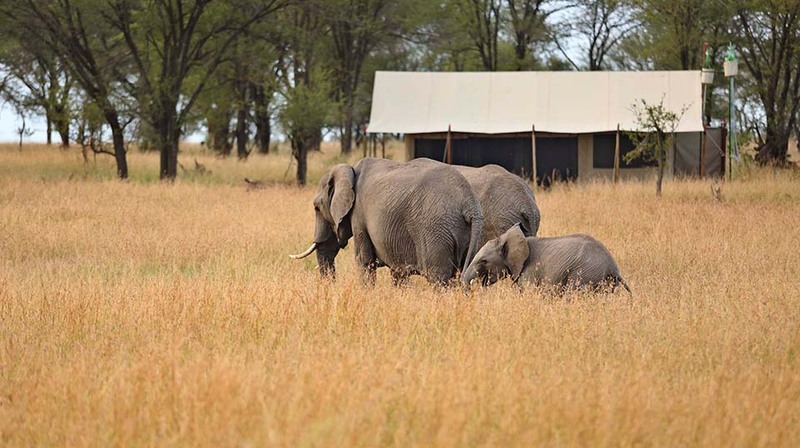 Families with children aged five and older are warmly welcomed in Kimondo Migration Camp, however we do not offer special family tents, activities for children or personal guides. 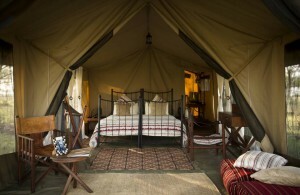 Children are accommodated in a separate tent or by adding a third bed to a tent. Note that children below 12 should always share a room with an adult. 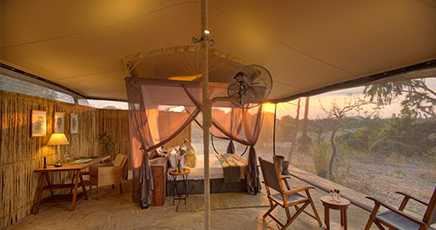 The nine traditional tents at Kimondo are an exercise in spacious and elegant safari style. 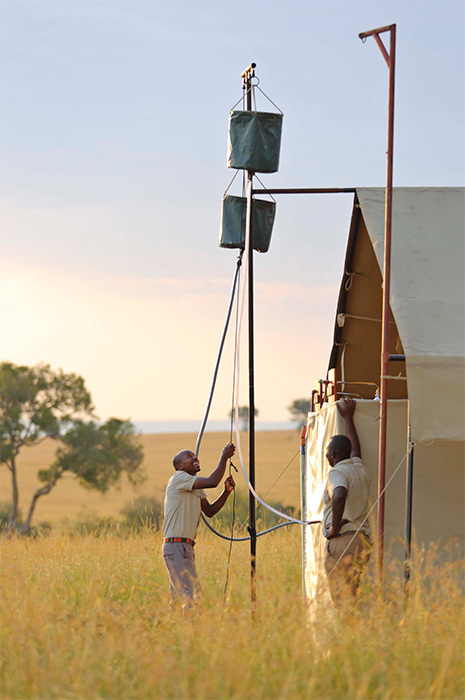 Each tented suite is furnished with cast-iron king-sized beds (twins available) that rest under the canvas ceilings. 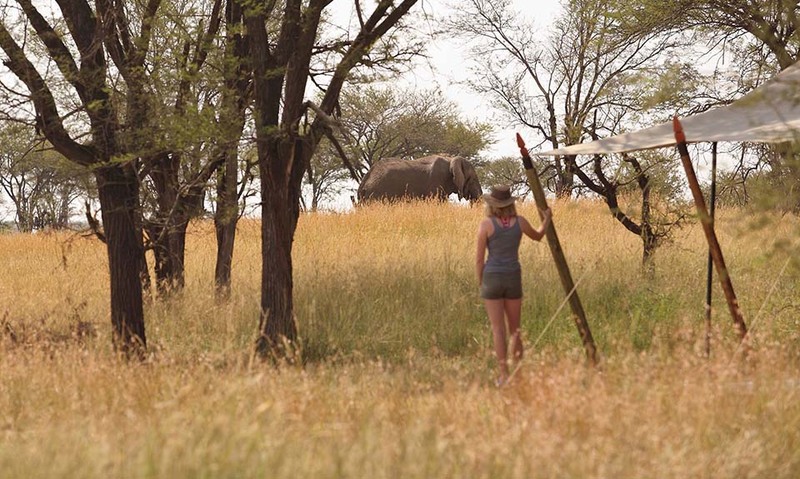 The private en-suite bathroom features safari bucket shower, hot and cold running water and flushing toilet. 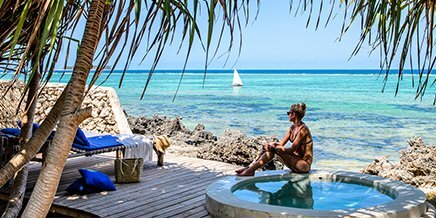 Private verandas are furnished with a comfortable chaise longue – the perfect place for a siesta during the long, lazy afternoons. 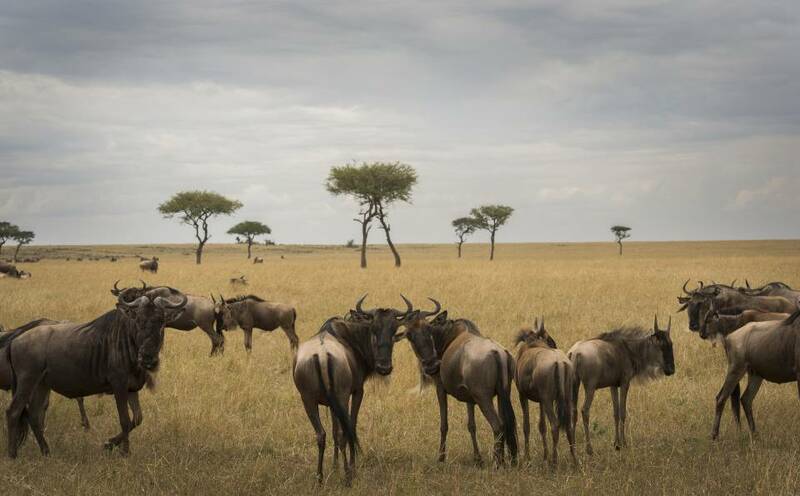 From July to October, home for Kimondo is in the northern Serengeti on the famous Lamai Wedge, a golden triangle of grassland between the Mara River and the Kenyan border – this is an area that is regularly hailed as one of the highlights of the entire Serengeti ecosystem. 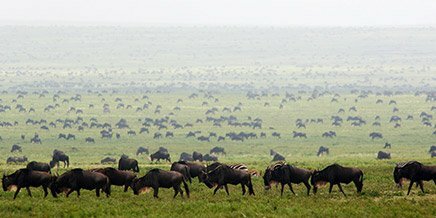 A gathering point for the Great Migration in winter, the area is rich in wildebeest and antelope … and the predators that pursue them. 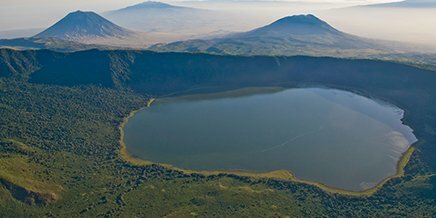 The Mara River, famed for dramatic scenes as the herds attempt the treacherous crossing past the jaws of Nile crocodiles, is only a short drive from camp, making Kimondo North the ideal place from which to experience the drama of the migration and the stillness of the Serengeti. 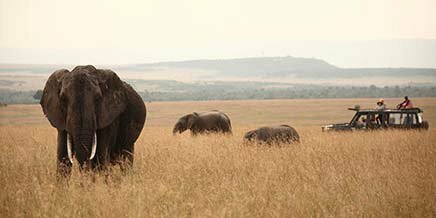 As winter eases into summer, the herds lift their noses and move to the luscious grasslands in the south. 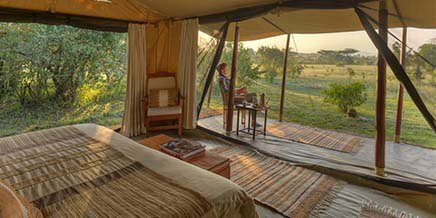 Kimondo is never far behind: in November the tents are packed and folded; come December, the camp is pitched anew in a spectacular location in the southern Serengeti. 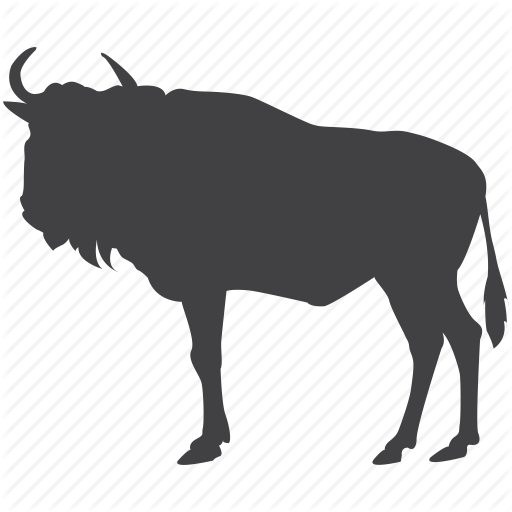 It is on these grassy plains that the millions of wildebeest who have wandered for hundreds of kilometres have a chance to graze, rest and calve. 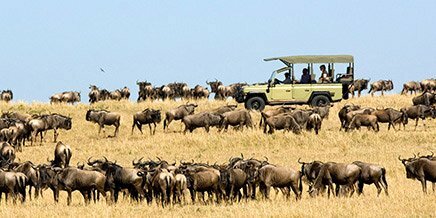 Enjoy superb sightings of the herds during daily game drives, or simply watch from camp and let the migration come to you. 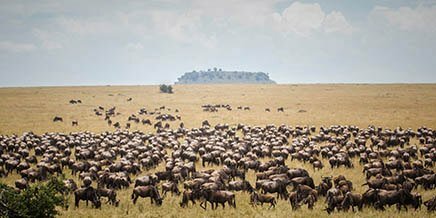 There is no ‘right time’ to experience the Great Migration, whether it is in the serene southern grasslands or in the north with its treacherous river crossings. 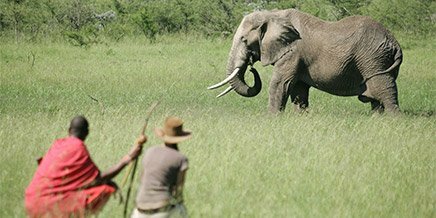 Kimondo is always pitched in the heart of the action, away from the crowds yet within striking distance of the most memorable moments. 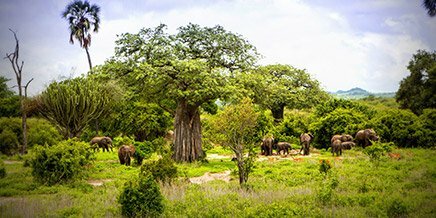 Let Kimondo’s specialist guides draw you into the inner workings of the migration on twice daily game drives, ensuring you live the migration and don’t merely see it. 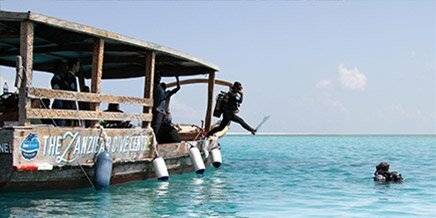 Kimondo utilises open-sided vehicles (with a canvas roof) and closed vehicles (with a pop-up roof). All vehicles have power points where you can recharge your devices, and are fitted with fridges to keep your drinks chilled. 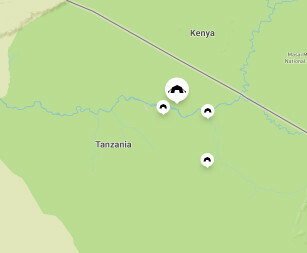 In the north (July to November), Kimondo is within driving distance of several communities and villages. 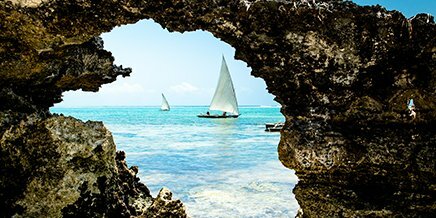 Visit a traditional homestead and be entertained by the local Kuria dancers, or spend the morning at the market, shopping for crafts and handmade souvenirs. 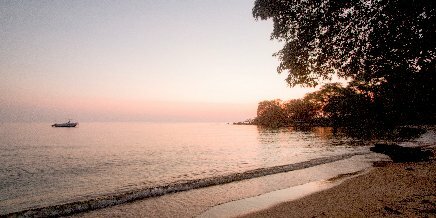 We are sensitive about the need to minimise the potential environmental impact of our presence in this iconic wilderness area. 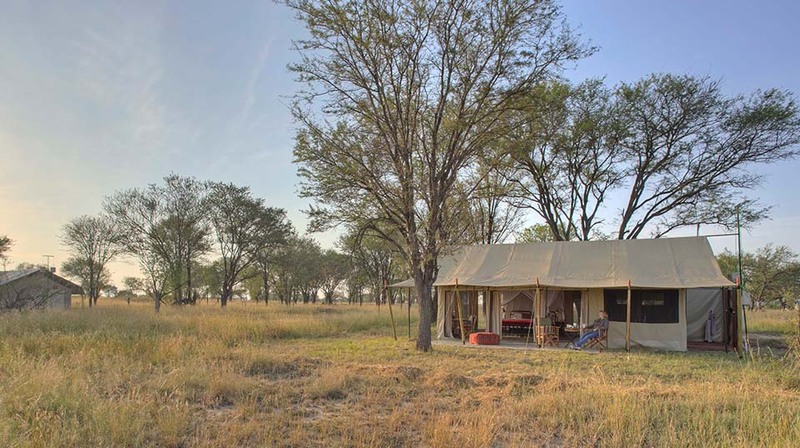 The entire camp has no permanent structures. This means we can break it down to move twice a year, leaving our site untouched (except for a few footpaths that soon become invisible). 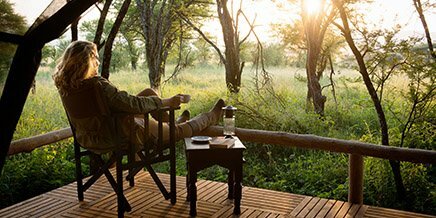 In camp we strive to be carbon neutral; any emissions from our fossil-fuel consumption are offset through a local community forestation programme. 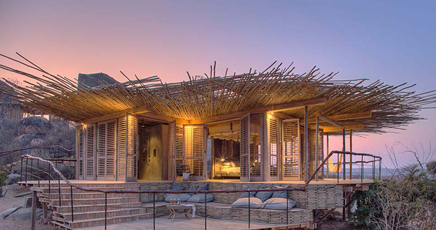 Asilia views each area it is committed to as a whole – places where people and nature are inseparable partners. Cross-cultural understanding and helping to provide rural villagers with a livelihood are priorities for us. 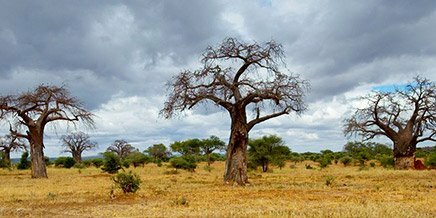 Take a day trip from Kimondo North to a Kuria village, where you’ll be exposed to real, authentic East African cultural experiences, perhaps have a chance to watch ceremonial dancers and enjoy traditional hospitality. 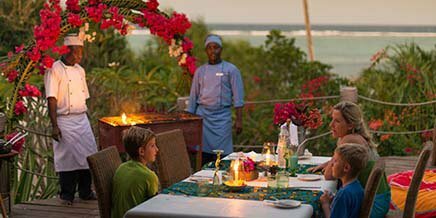 Kimondo is recognised by Responsible Tourism Tanzania for integrating its working culture and daily operations into a sustainable and responsible management approach. Systems are in place to monitor and direct operations. All employees understand the triple bottom line, which forms the core of the company culture. 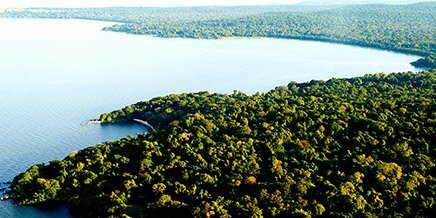 Kimondo is also recognised by Fair Trade Tourism which benchmarks responsible tourism standards across the continent. 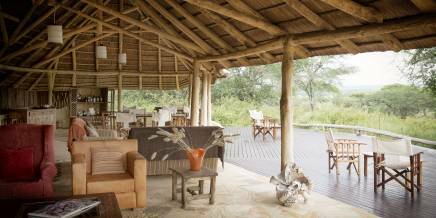 A warm and friendly welcome to Kimondo Camp! 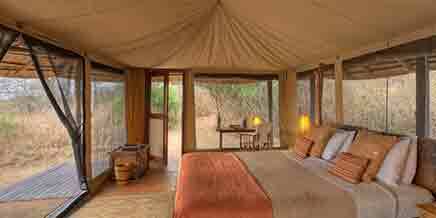 Your bedroom at Kimondo Camp. 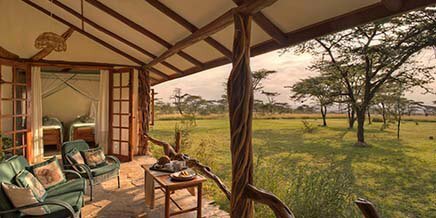 Views from your bedroom at Kimondo Camp. 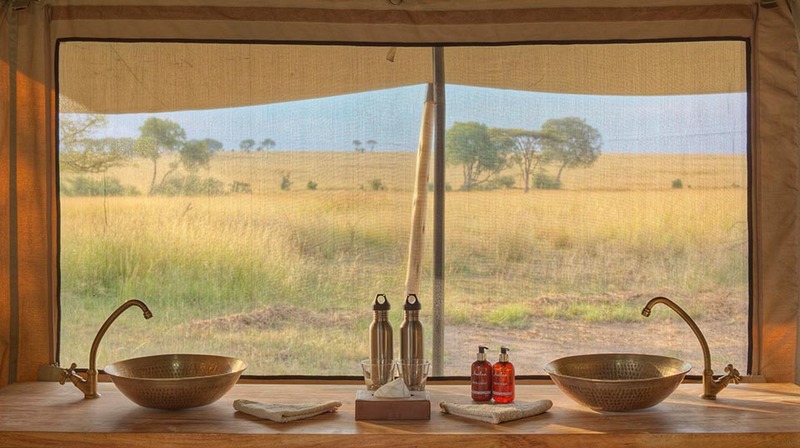 Getting up to brush your teeth with a view of the open plains. Your hot bucket shower is ready! 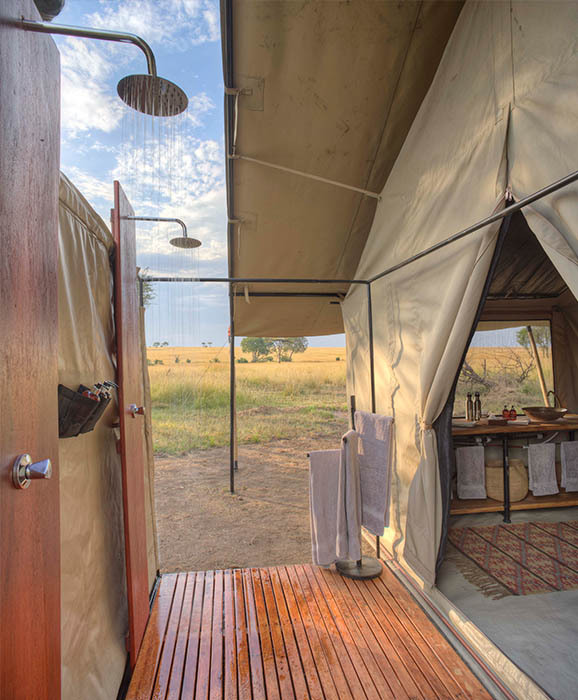 The outdoor shower at Kimondo Camp. 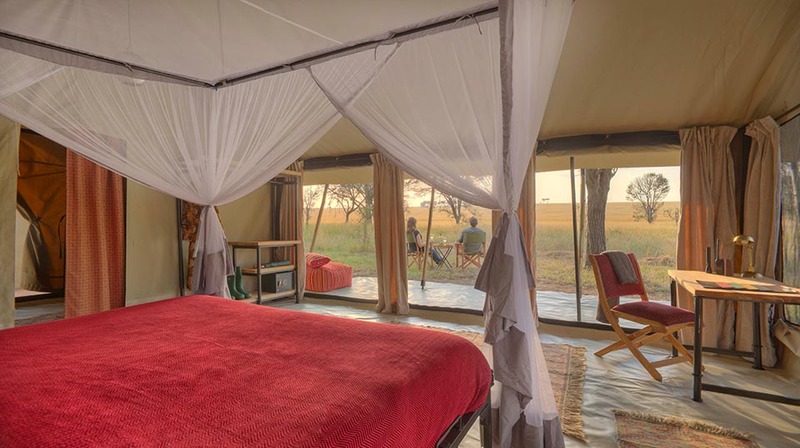 The main area at Kimondo Camp. 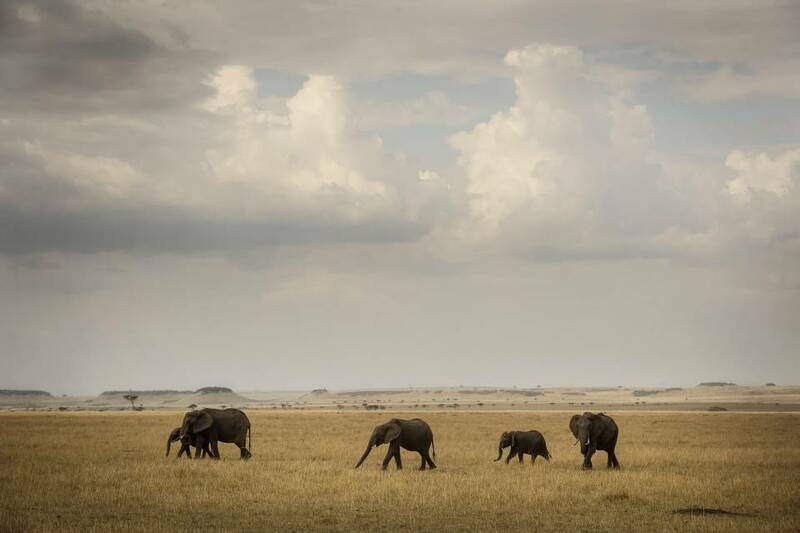 Elephant stroll past Kimondo Camp. 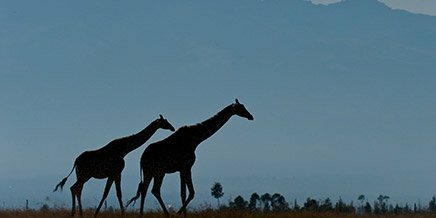 Wildlife often strolls past Kimondo Camp. 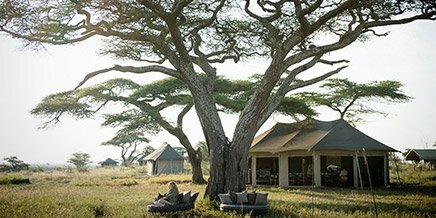 Lunch setup outside - the perfect opportunity to relax and take in the beauty of the Serengeti. Drinks by the fire after a day filled with activities. 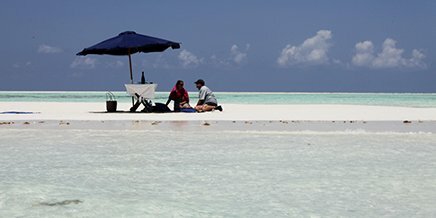 The perfect place to end the day with dinner outside. 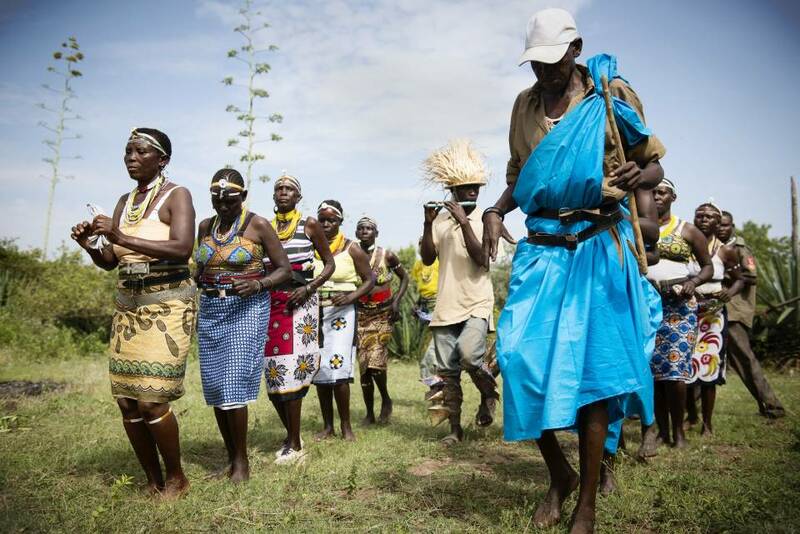 Kuria traditional dancers at Kitunguruma village, northern Serengeti, near Kimondo North. 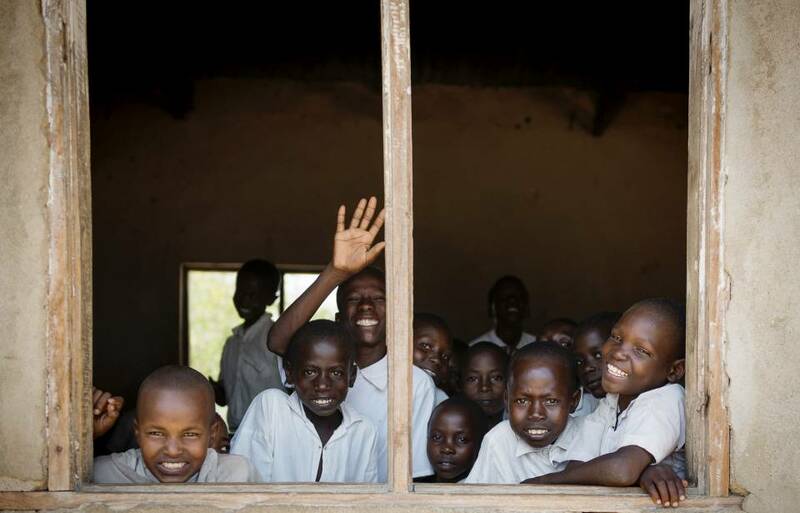 Primary school pupils at Nyamakendo Primary School, northern Serengeti, near Kimondo North. 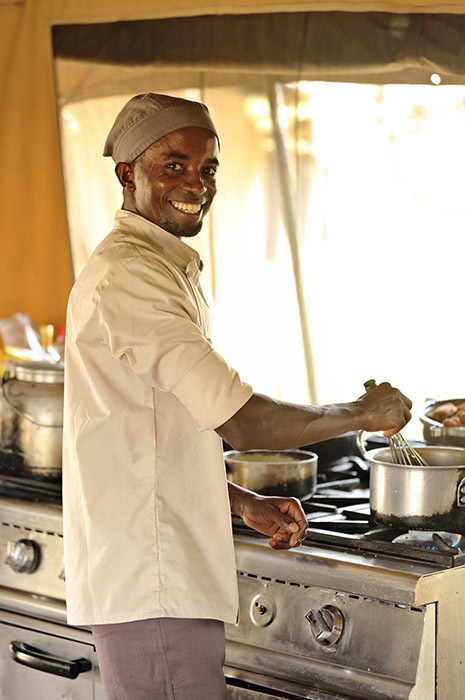 Preparing the most delicious meals with a smile. Fresh breads and treats - made especially for you. 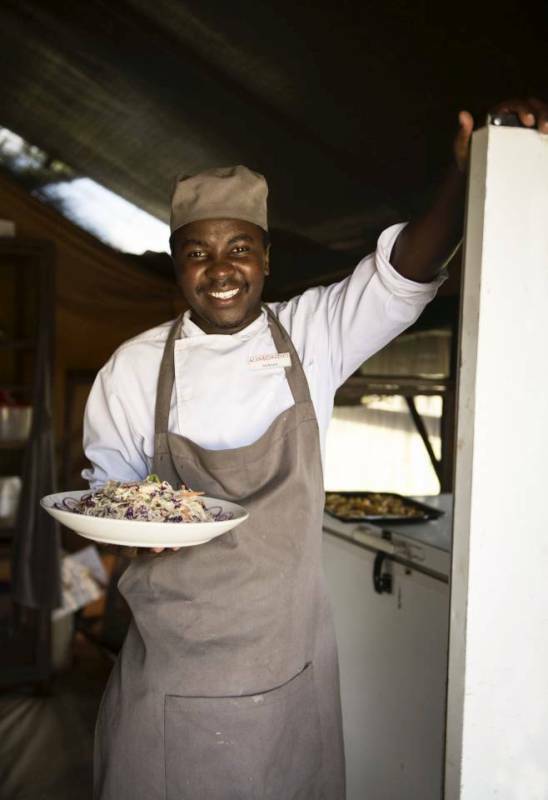 "We are here for them [tourists]," says Jackson Eliakimu, chef at Kimondo camp, Serengeti. 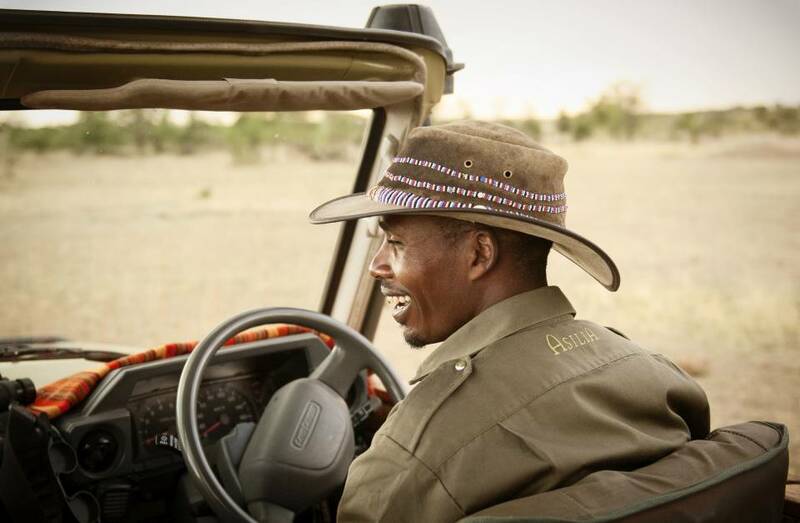 Experienced guide and driver at Kimondo. 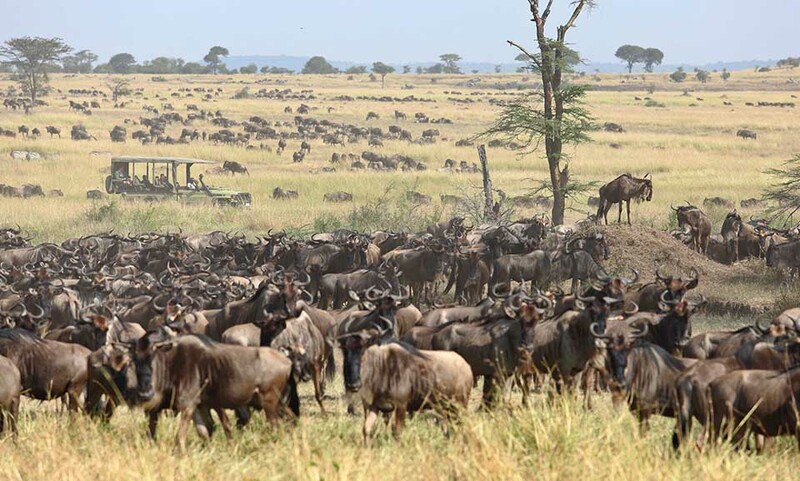 The Great Wildebeest Migration in full swing at Kimondo Camp. 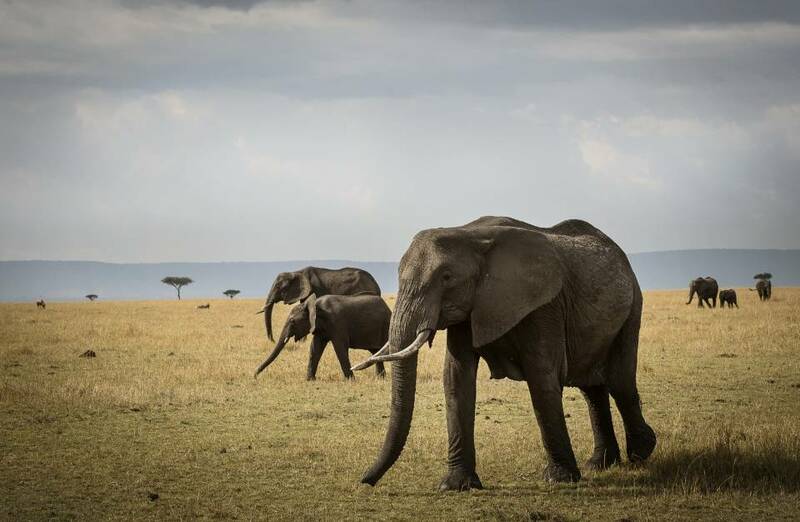 Out on a game drive in the Serengeti. 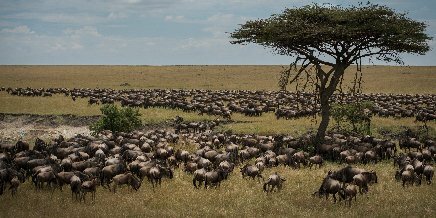 Asilia vehicle among the migrating wildebeest in the Serengeti. 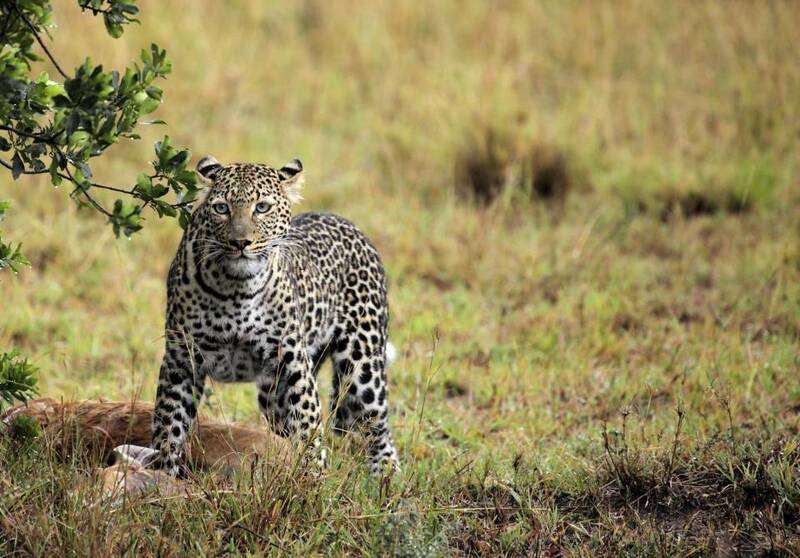 Leopard spotted near Kimondo Camp. 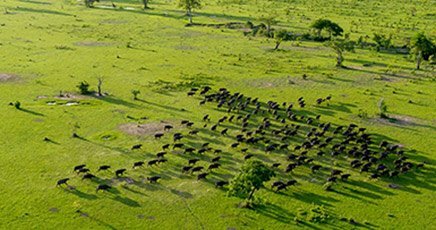 Migration of wildebeest near Kimondo Camp. 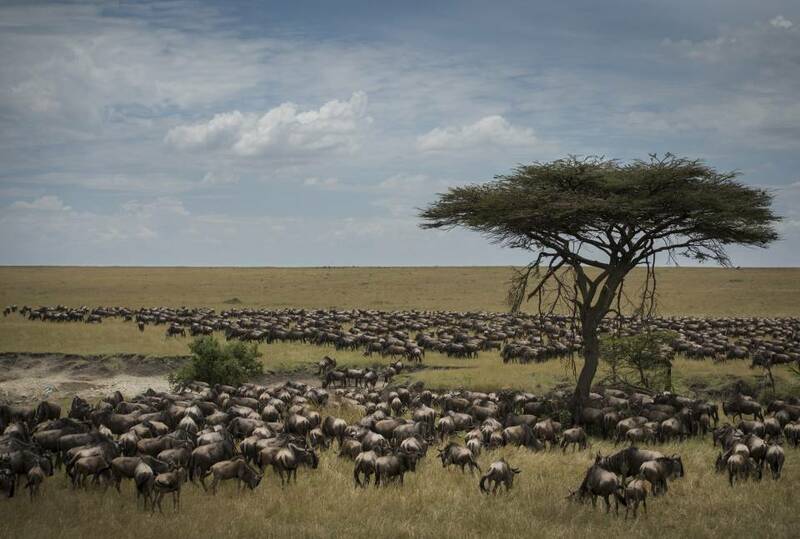 The migration seen near Kimondo Camp. 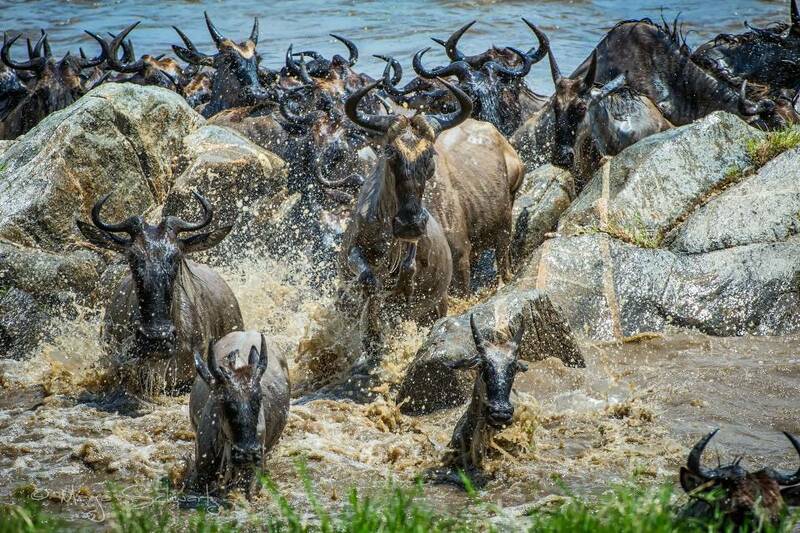 The great migration seen crossing the river near Kimondo Camp. 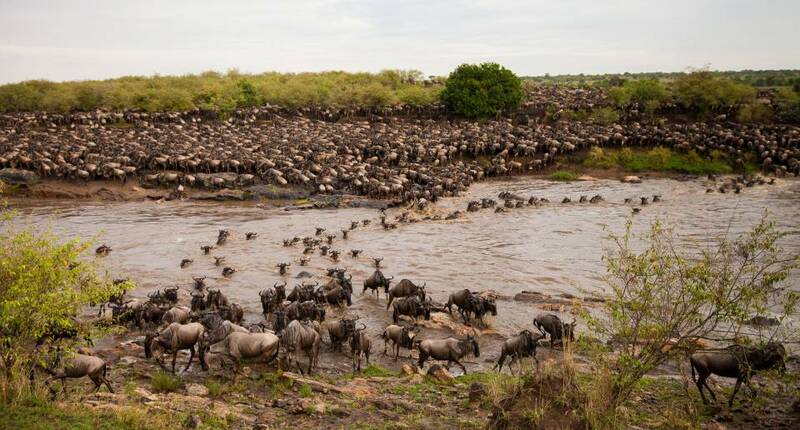 Migration crossing seen near Kimondo Camp. 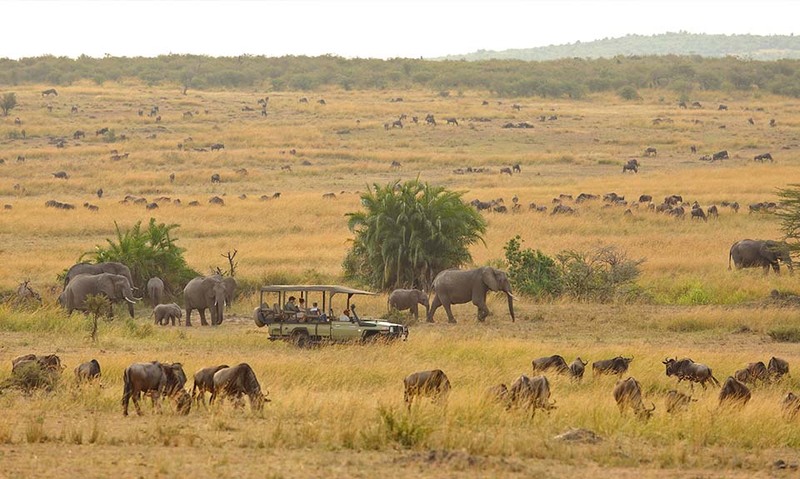 Elephant herd seen on a game drive at Kimondo.